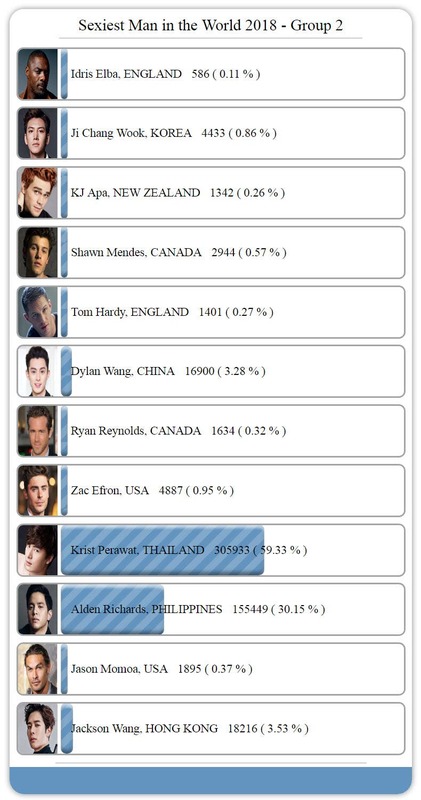 The second of 6 finalists in “Sexiest Man in the World 2018” online poll is Thai actor, Krist Perawat! Krist defeated 11 other nominees in Group 2 of our semifinal poll to advance in the last round. He garnered a whopping 155,449 votes or 59.33% of the poll. 2nd placer Alden Richards of the Philippines and 3rd placer Jackson Wang of Hong Kong will compete in our 24-hour wildcard round on December 3, 2018. Voting for ‘Sexiest Man in China’ Poll Now Open!